Abstract: Many misunderstandings about the expert-performance approach can be attributed to its unique methodology and theoretical concepts. This approach was established with case studies of the acquisition of expert memory with detailed experimental analysis of the mediating mechanisms. In contrast the traditional individual difference approach starts with the assumption of underlying general latent factors of cognitive ability and personality that correlate with performance across levels of acquired skill. My review rejects the assumption that data on large samples of beginners can be extrapolated to samples of elite and expert performers. Once we can agree on the criteria for reproducible objective expert performance and acceptable methodologies for collecting valid data, I believe that scientists will recognize the need for expert-performance approach to the study of expert performance, especially at the very highest levels of achievement. Highlights: Current performance, “what is”, differs from performance after training, “what could be”. 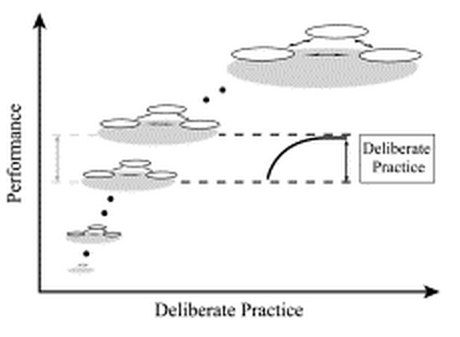 Among expert performers general cognitive ability does not correlate with performance. The heritability of expert performance is currently unknown.-Estimated hours of self-reported practice is a poor predictor of overall effects of training.